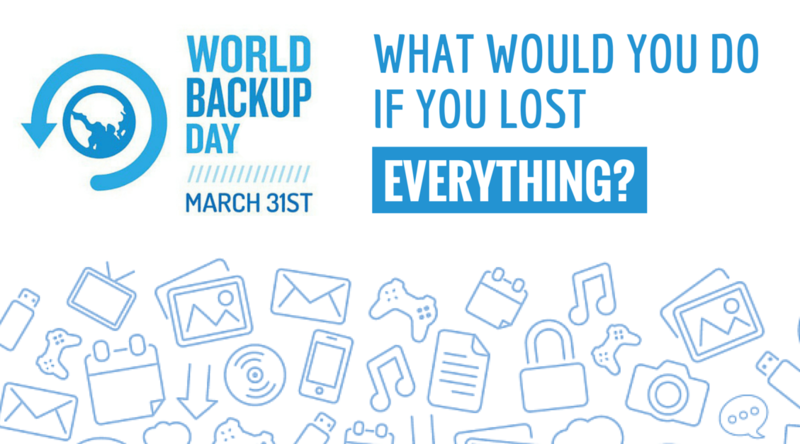 Today is #WorldBackUpDay, March 31st! This independent initiative to raise awareness about backups and data preservation started out on the internet by a couple of concerned users… But surely every day is a backup day? When is the last time you backed up your information? A backup is a second copy of all your important files, for example family photos on your laptop or smartphone or your business files on your office PC. If your device is lost, stolen, or fails, you’ll have lost valuable information that may never be recovered and can cause emotional or financial damage. Most people back up their information in one of two ways, to an external hard drive, or somewhere on the internet. Companies use various methods of backing up their sensitive data such as Virtualisation, NAS devices, Cloud BackUp…etc.